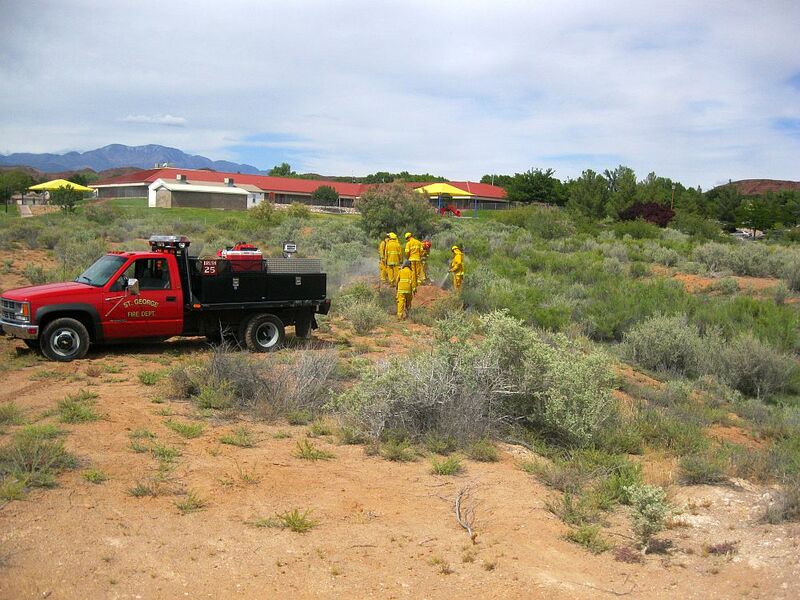 ST. GEORGE — A brush fire in a vacant lot behind Sunset Elementary School located at 495 Westridge Drive in St. George was quickly doused by firefighters Sunday afternoon. The fire, which was approximately 300 yards from the back of the school, was reported by a resident in the area just before 3:45 p.m. However, the fire had nearly extinguished itself by the time firefighters arrived, St. George Fire Capt. David Slack said. Only a small area of the vacant lot was burned. Two engines, a brush truck, and eight firefighters responded to the scene to make sure the fire did not spread. Slack said the cause of the fire has not yet been determined.